Former Nixon White House Counsel John Dean took to his Twitter account this weekend, responding to news that Allen Weisselberg was granted immunity by federal prosecutors for the Southern District of New York (SDNY) in conjunction with their investigation of former Trump attorney Michael Cohen, who pleaded guilty to 8 federal felonies earlier in the week. “Speaking of Weisselberg I think he invoked the 5th and prosecutors immunized him not to nail Cohen or Trump, but Trump’s kids: Eric, Ivanka and Don Jr., who may be in for sphincter-tightening experiences,” he tweeted. Speaking of Weisselberg I think he invoked the 5th and prosecutors immunized him not to nail Cohen or Trump, but Trump’s kids: Eric, Ivanka and Don Jr., who may be in for sphincter-tightening experiences. 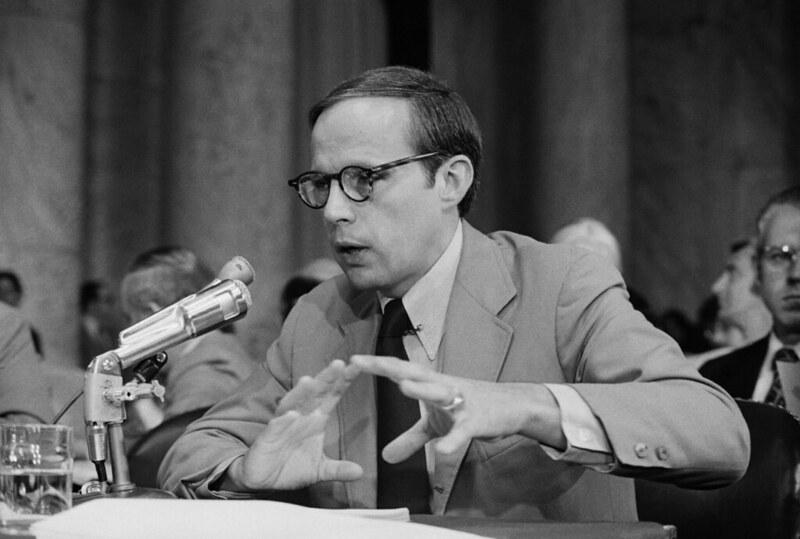 Dean is uniquely qualified to make such a prediction through his role in the events leading up to the Watergate burglaries and the subsequent cover-up. He was referred to as “the master manipulator of the cover-up” in an FBI report  and eventually became a star witness for the prosecutor after he pleaded guilty to one felony, receiving a reduced sentence. Anxiety is particularly acute in Trump World because of the sense that prosecutors could now have the president’s children in their crosshairs. Three separate sources with knowledge of the Trump Organization told The Hill that when Trump was head of the company, any substantial invoices required his personal approval before being paid. He would often initial the invoices himself. During the transition period after winning the presidency, but before being inaugurated, Trump created a trust to manage his assets, in which Weisselberg and the president’s adult sons, Donald Trump Jr. and Eric Trump, play central roles. All three sources that spoke to The Hill were insistent that sign-off would be expected from one of the Trump sons when Cohen invoiced for the first two of 12 scheduled monthly payments of $35,000 in February 2017. The money was reimbursement for a payment of $130,000 to Daniels, as well as a $60,000 bonus and fees for other work. If one of Trump’s children approved such an invoice, that could potentially leave them legally exposed. That, in turn, raises the specter of investigators burrowing further into Trump’s family business — and putting pressure on the president via his children. “We don’t know a quarter of what’s in the pocket of the prosecutor,” London said of Mueller. Making matters worse, the State of New York is also investigating possible crimes associated with the Trump Foundation, meaning that Trump might not be able to pardon his children out of trouble. FOOTNOTE 1: Office of Planning and Evaluation (July 5, 1974). “FBI Watergate Investigation: OPE Analysis” (PDF). Federal Bureau of Investigation: 11. File Number 139-4089. Archived from the original (PDF) on July 22, 2011. Retrieved August 27, 2018.